Recently, I was trying to connect to DB2 database using SoapUI pro 4.5.1 and got the following error message "com.ibm.db2.jcc.am.SqlSyntaxErrorException:[jcc]...Invalid database URL syntax: ...ERRORCODE=-4461,SQLSTATE=42815". 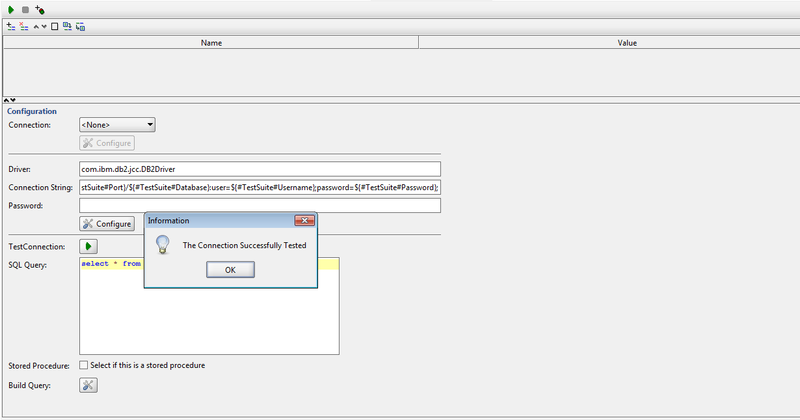 On further analysis, I discovered that the default connection string for IBM DB2 Drivers in SoapUI did not have a semicolon at the end of password variable. 1: add the semicolon at the end of the connection string template for DB2. 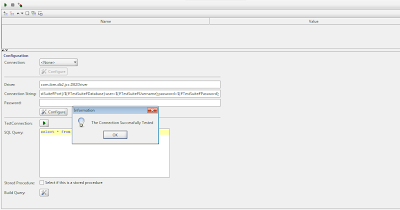 The connection string templates are available under the option soapUI Preferences - JDBC Driver Properties. 2: Create a custom connection string with semicolon in your test case. 3: If you don't want to use either of the above approaches, third approach is to add semicolon at the end of the Password variable text. NOTE: To connect to DB2 database, you will require to add db2jcc.jar and db2jcc_licence_cisuz.jar files in the SoapUI ext folder.